For 2013, the Kizashi gets a new optional 'embedded' navigation and infotainment system that incorporates Bluetooth streaming audio plus multiple USB ports, voice control and a rear-vision camera. 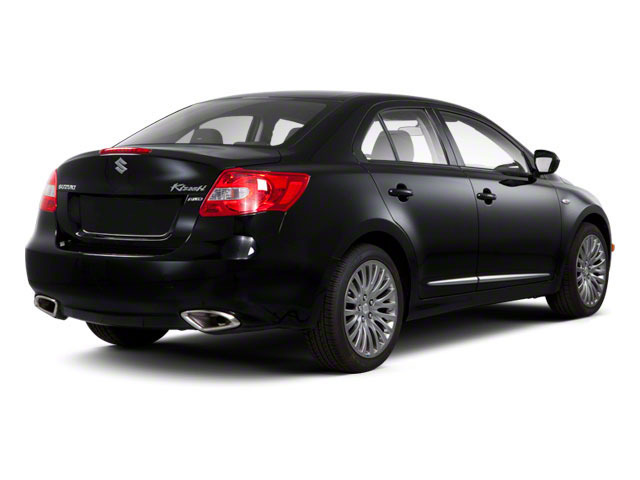 The 2013 Suzuki Kizashi is available in base, SE, Sport GTS and top-of-the-line Sport SLS trims. All versions of the Kizashi are powered by a 2.4L 4-cylinder engine, making 185 horsepower with the standard 6-speed manual transmission or 180 hp with the continuously variable automatic transmission (CVT). Both variants make 170 pound-feet of torque. Although the Kizashi is offered at a budget-sedan price, it offers a sophisticated chassis, with impressive handling and a firm but absorbent ride. Four-wheel anti-lock disc brakes are standard throughout the model line, along with a total of eight airbags (a total of eight side bags) plus electronic stability control and, on all-wheel-drive versions, an Intelligent Vehicle Stability Program (i-VSP) system that works together with the steering to enhance grip and safety as part of the i-AWD (all-wheel drive) system. All-wheel drive versions (available for all but the base model) are only offered with the CVT, but both the Sport GTS and Sport SLS include additional steering-wheel paddle-shifters. 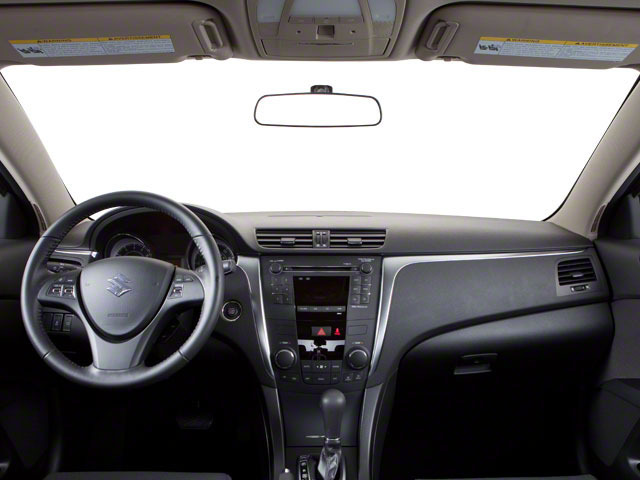 Inside, the Suzuki also feels a step above most other compact sedans at this price. Standard sport seats provide good support, while Sport models provide further upgraded ones, and there's just enough space in back for two adults to be comfortable (or three kids). Rear seatbacks are split 60/40, and they fold forward for more cargo space and include a rear armrest and pass-through for long items like skis. Base-level Kizashi models include dual-zone climate control, rear-seat vents and tilt/telescopic steering adjustment, along with full power accessories; while SE models step up a power driver's seat with memory settings, cruise control, and a leather-wrapped steering wheel, 17-inch alloy wheels, plus the CVT. Sport GTS models get steering-wheel paddle-shifters, 18-inch alloys, a sport body package, a lowered sport suspension, leather interior, heated seats, a power passenger seat, a power glass moonroof, and 425-watt Rockfor Fosgate audio, while at the top of the lineup the Sport SLS AWD, in addition to all-wheel drive, gets rain-sensing wipers, rear parking assist, and a HomeLink universal garage-door opener. Both the Sport GTS and Sport SLS include the new voice-activated navigation system, with Bluetooth audio streaming plus multiple USB ports, voice control and a rear-vision camera. 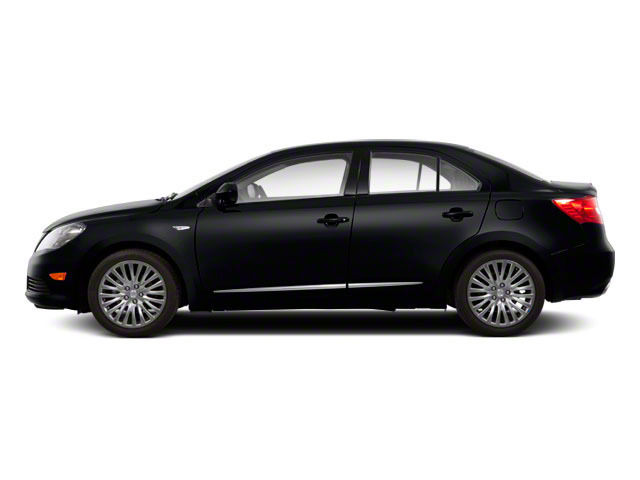 The Kizashi is a budget-priced compact sedan that defies its price. 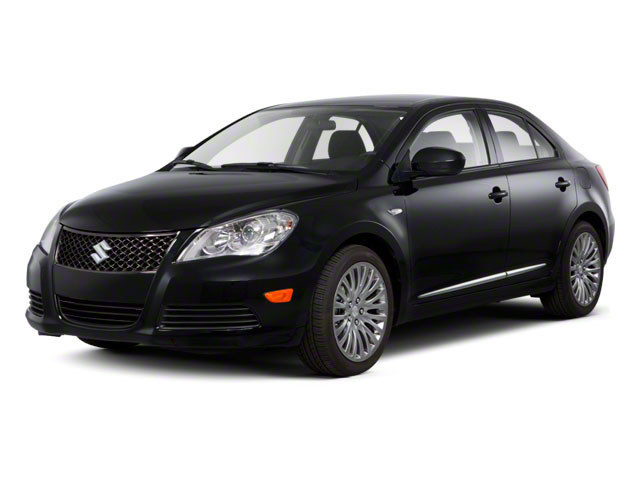 The Euro-style driving attributes, with an athletic feel, good responsiveness, a fashionable look inside and out, and excellent sport seats will all appeal to those on driving enthusiasts on a budget, while the Kizashi's feature set offers a lot of value for the money. All-wheel-drive versions of the Kizashi are also good, high-value picks for those in Snow Belt climates.